Knowing Your Guests: Who is your target market? Home > Operations > Knowing Your Guests: Who is your target market? As you consider how to market your property, it should be almost a no-brainer to think about this: who is your guest? Almost, but not quite. But, if you don’t have a picture of the “typical” guest, your marketing message may be aimed at a target market that is different from your “typical” guest. Imagine, if you decide that your target market is young motorcylists, when, in fact it is retirees who drive luxury cars, you may put all your marketing efforts into attracting one group, while making your property less attractive to the group that has been the staple of your business. The result is likely to be that your business declines. That points up the importance of building your business by marketing to guests who stay with you, not an arbitrary group you think it would be fun to attract. Not that there is anything wrong with expanding your reach – just don’t do it at the expense of your existing guests. Over the past few years Jay Karen, CEO of PAII (Professional Association of Innkeepers International), has stressed the need for lodging properties to market to younger people, on the theory that the older age-groups will not be around forever, and, as younger groups age, B&B’s will become more attractive to them. Some properties have embraced this idea, adding lots of high-tech bells and whistles, redecorating their old Victorian house interiors as sleek, modern palaces of chrome and glass. Others have been wary of extensive change. One aspect of PAII’s recommendation hasn’t received much attention: that, while we certainly would love to see more young people staying at B&B’s, many of the “younger generations” in our target market are, themselves, becoming an “older” generation – they are now in their 40’s and 50’s, and their tastes may not run to chrome and glass quite as much as you might think. We tend to assume that, if people are actively marketing in a certain way, it must be working, or they would do something else. 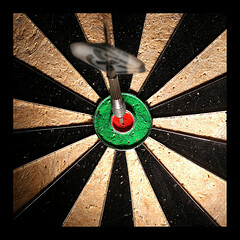 I recently read a fascinating article about target markets – and one with a strong correlation to the B&B marketplace. The author, a long-time advertising expert, challenged the idea that all marketing should be directed at the young. He had assumed, since so many people spent large amounts of money advertising to the young, that someone, somewhere, had done an analysis and determined that this was a productive way to advertise. When he looked beneath the surface, however, he found it simply wasn’t the case! Well, if there is a smart person somewhere with the facts on this, I haven’t found him yet. Here’s what I have found. Despite the fact that many are retired, they still have 55% higher annual income than some other adult demo groups. They dominate 94% of CPG categories. They are the internet’s largest demographic constituency. They are much easier and much cheaper to reach than any other demographic group. And, according to Nielsen, they are the target for 5% of all advertising. Let me repeat the key fact here. Despite the fact that people over 50 are responsible for about half the consumer spending in the country, they are the target for 5% of all advertising. Now that is a target market that seems to be worth going after. Oh, wait – for most B&B’s it is already their “typical” guest! You can read the entire article here. The bottom line is this: Make sure you know your target market. If you don’t have a clear picture of your “typical” guest, spend some time thinking about it. In the words of some of the SEO experts, create a “persona” (or more, if necessary) for you guests. That is, create one or more imaginary people, that fit your “typical” guests. They are your target market. Make sure your messages will resonate favorably with them. I have to say, I’ve been quite surprised by innkeepers who simply say, “I think I’m going to market to this group” without any thought of whether or not that group actually comes to their area, or stays in B&Bs! We want more genx and y, so am pursuing hiking/biking/paddling in the area and in our own photography (marketing). To not disclaim the stigma of being in granny’s house, but to offer another perspective! Cheer Scott, appreciate the article. What companies do you recommend who can take the data (like zip code and dollars spent with us) of our previous customers and give us a demographic profile of who they really are? Howard, I’m not currently aware of any companies in the B&B or small lodging industry that offer that type of service (but it sounds like a good idea!). I have seen SEO bloggers talking about creating personas for some time. For example, this search reveals quite a few who are discussing the process, or offering the service.